Over my years of teaching, I’ve taught so many different types of people, beginners to those with 20 years experience, teenagers to age 80+, school teachers to lawyers and everything in between! I like to make the yoga I teach truly accessible to everybody, you’ll not be standing on your head at your first class, nor trying to put your body into pretzel like positions that just don’t feel good. Instead, you’ll be guided through various stress relieving breathing techniques, we’ll move our bodies in ways that feel good to help restore proper mobility and function and classes always end with relaxation and meditation to get the fullest experience you can out of your practice. I teach 1-1 or small groups (max 4) around Leamington, Kenilworth and Warwick. Perfect for those who don’t feel confident to attend group sessions, complete beginners, those working with injuries or students who simply can’t fit a class in their schedule. Held in the comfort of your own home, with all equipment provided and sessions personalised specifically for you. Sessions may also be held in a local studio if you’d prefer, prices for studio sessions differ slightly from in home sessions. Yoga has been proven to have incredibly positive results in reducing stress levels and increasing productivity in the workplace. Having worked in corporate environments in the past, I completely understand the stress levels that can be present! Classes can be held throughout your working day, with all equipment provided, all you’ll need is a space to hold the session. Join me at one of my many classes I teach at a variety of great studios in the Leamington and Kenilworth area. 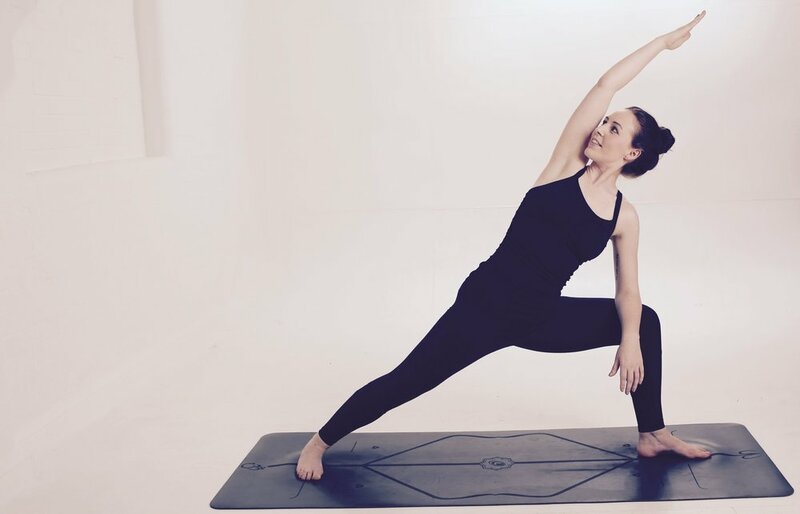 It doesn't matter if you are a seasoned yogi or completely new to the practice, come along to a class and begin to discover the amazing benefits of this incredible practice. Yoga Events, Workshops & Retreats.. I run a number of Yoga workshops and retreats in and around the local area. Workshops are a great way to deepen your practice and retreats are a great way to spend focussed time just on you. All of my workshops and retreats are focused on re-energising, relaxing and re-connecting.